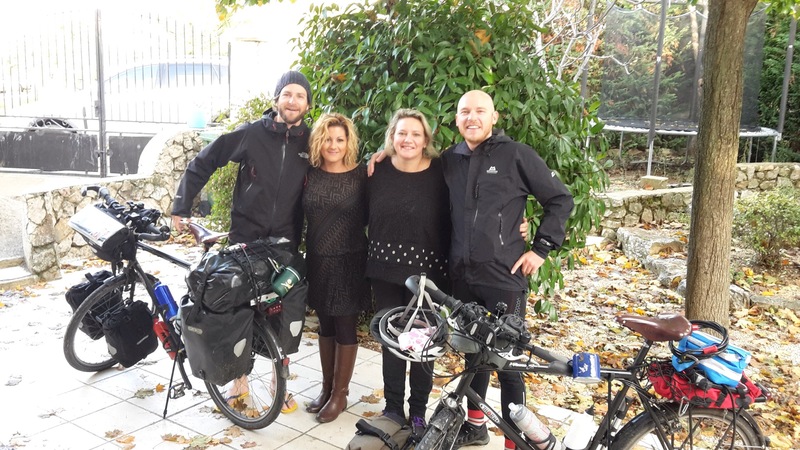 We headed southeast from Avignon into the Provence region. Buildings with light blue shutters and long avenues of Plain trees met us ahead. We rode through pear orchards reminding me of home on the farm, the leaves glowing with the yellow autumn colours. Lavender plantations gave us the scents of Provence as we fought the headwind and rain making good progress towards our destination. We had organised some accommodation ahead and if we managed to ride the punishing distance we would be rewarded with a hot shower at Florence’s place. Florence is a cousin of a work colleague of Britta the Diva. We arrived in Lambesc. Whilst buying some wine at a supermarket in Lambesc a man approached me and asked if I was staying at Florence’s house. It was her father, Christian and he would meet us for dinner later. We rode on a little further to find a lady waving at us from across a roundabout. It was Francoise, Florence’s mother. What a great welcome into Lambesc. Florence had invited a host of friends and family to dinner and we had a very entertaining evening. Being big fans of red wine, we were proud to pull out our finest Local red wine offering only to be put into our place in a region where rosé is the only wine to drink. 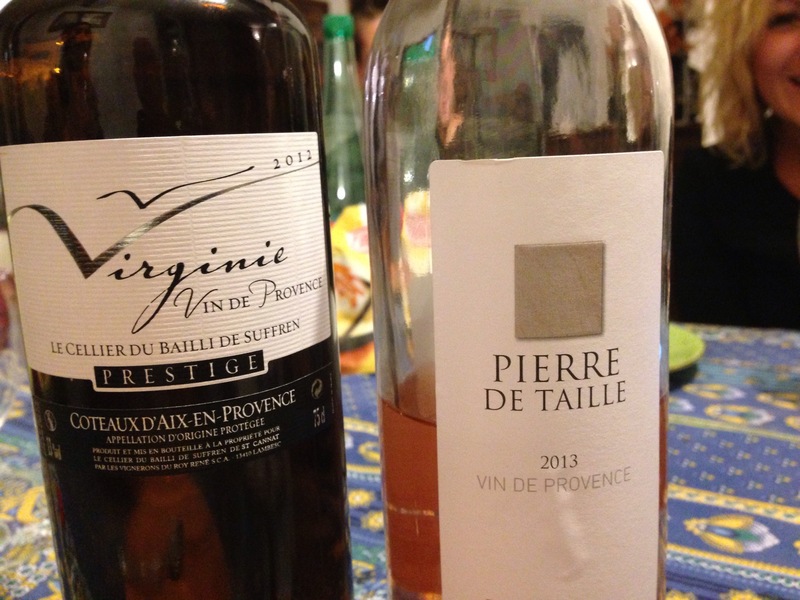 If Provence is the home of rosé, chez Florence is the home of rosé consumption. Needless to say, everyone was very surprised that the locals could produce a half decent bottle of red. Her father, Christian, and his French-English dictionary of slang had us in tears of laughter with his chat. Guaranteed from a man who spends his days foraging for mushrooms and had a career in sales selecting those clients who entertained him to the best lunch. 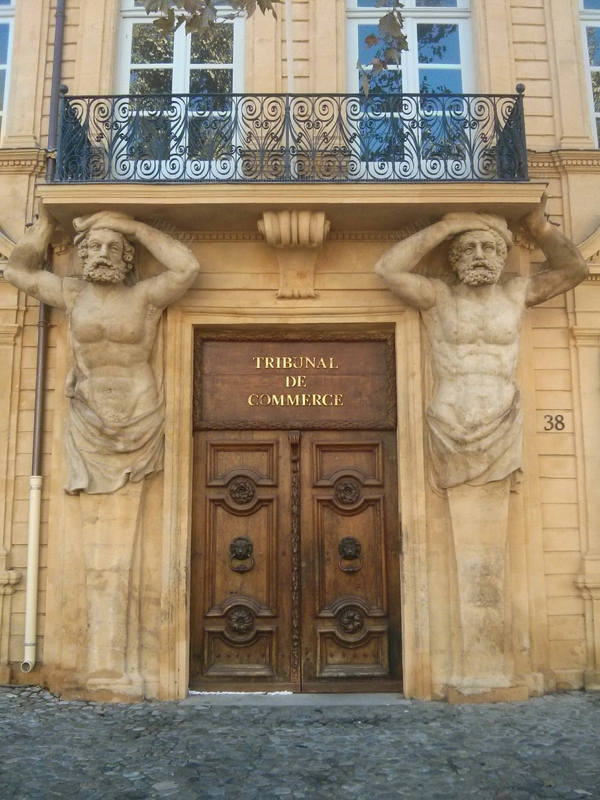 We decided it would be worth spending an extra day of rest there and Francoise took us on a very informative day trip to Aix-en-Provence which was very enjoyable on an unexpected sunny day. How you might feel after a late night drinking rosé. A friend of Florence, Amandine (Princess), was also staying with us. 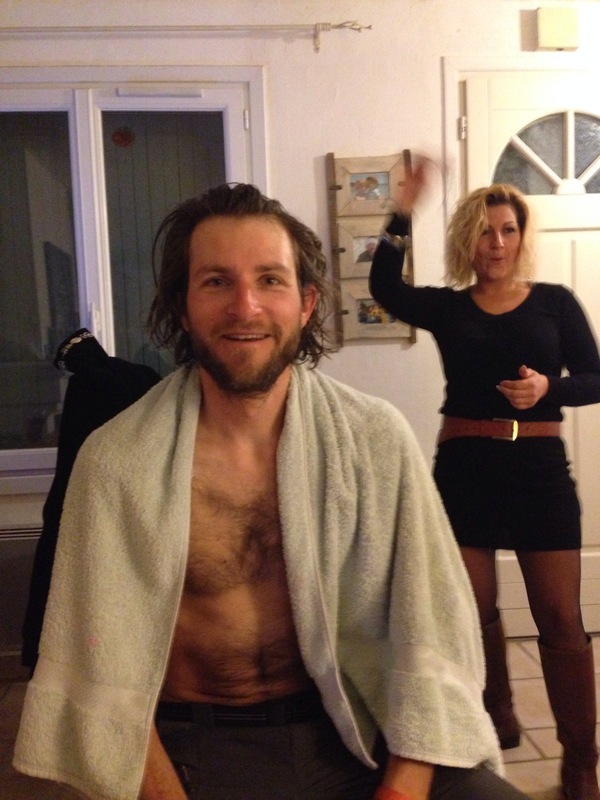 She is a professional hair stylist and had a field day on my coiffure after a couple of bottles of rosé. A great job. Her contagious laugh (like Ted’s) had us in stitches over the two days. We treated the children to some homemade burgers on the braai which I assume went down well. Their English is as good as our French so conversation was limited but they’re a great bunch. Thank you Florence, Nicholas, Maxime, Marylou, Christian, Francoise and Princess for having us to stay, all the great food, wine and making us feel part of your family. We loved the fact that a bar down the road is an hour long scenic drive from village to village through the Provence countryside to try and find a bar that is open. Great times! Wow! what fantastic and hospitable folk – vive la France! Sounds like you guys had a ball! Let me tell you what the rest of the world is doing. We are on the treadmill of life, working hard to pay the mortgage and going green with envy every time we read your blog. Looks like an amazing trip and for that very reason I will put some extra laxatives in your food if you come through Port Elizabeth and stay at our place. I hope you don’t bring Ebola with you after your stint in Africa. It all sounds like a big holiday, what lovely people out there, enjoy it all! Always great to read the updates about your epic trip! Look fwd to seeing julle in SA…!